Keeping your eyes protected is very important to prevent health issues. However, there are many daily activities performed that can cause health issues to your eyes. Keeping your eyesight in good condition as long as possible is very important for your overall health. No matter your age or condition, please keep in mind the seriousness of protecting your eyes when engaging in specific activities. Even if you’re not staring straight into the sun, its rays can be damaging to your eyes regardless. Do you love to sunbathe? Too much exposure to the UV rays of the sun can cause cataracts and even blindness. The very structure of the eye can be irreparably damaged by long-time sun exposure. This is because these UV rays actually alter your DNA, which is what leads to skin cancer. In the eyes, it can cause growths on the eye, macular degeneration, and more. To keep your eyes their healthiest, make sure that you’re wearing dark sunglasses every time you go out. We’ve all heard the largely mythical notion that TV is bad for your eyes. However, many people don’t think about the fact that many aspects of technology can be harmful. If you work eight hours a day staring at a computer screen, you may quickly notice your eyes aching, tension headaches, and more. When staring at one point for long periods of time, your body is less likely to blink regularly. This will cause your eyes to dry and strain the muscles in them. This isn’t only limited to television and computers, however. Keep an eye on your tablet and smartphone use, as well. Everyone knows that smoking is bad for you. It can cause your skin to look terrible, gives you bad breath, and even increases your risk for cancer. Most people don’t realize that smoking is also bad for your peepers. If you’re a smoker, you have an increased risk of eye diseases such as retinal disease, cataracts, and macular degeneration. Part of the reason for this is because smoking is expected to affect circulation in the body. When the eyes don’t get enough blood, they’re much more vulnerable to disease, vision loss, and other nerve problems. Do you go swimming without proper eyewear? While this is bad enough and can hurt your eyes, this is especially true for those who wear contacts. In fact, it’s suggested that you never wear contacts when you are participating in water activities for an extended period of time. Taking out your contacts before you get in the shower is one of the best ways you can protect your vision. This is because due largely to the microorganisms that are in the water. They are able to attach to the contact lenses, causing painful infections. In some cases, this practice can blind you. Did you know that sharing your eye makeup is terrible for your eyes? It’s not necessarily going to make your eyesight worse, but it can damage the delicate tissue of the eyes. Infections are easily spread through the use of eye makeup like mascara. 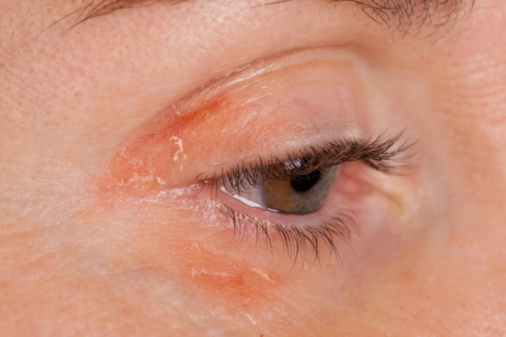 There are a number of infections that can be spread from conjunctivitis to Herpes Simplex. In addition to this, if you’re keeping your eye makeup longer than the recommended time, which for mascara is about six months, you’re not doing yourself any favors. Makeup is a hotbed for bacteria that can cause serious health issues for your eyes. It’s important for your overall health that you eat properly. It’s also crucial to your eye health. Your eyes require proper vitamins to continue good function. On top of this, many other health problems can lead to problems with your eyes. Diabetes, high blood pressure, and high cholesterol have all been linked to eye problems. Keeping your eyes in good health is important. Make sure that you’re careful about when participating in activities. Give your eyes a rest once in a while, ensuring that they’re working at top performance. And don’t forget to go to your yearly eye exam. Bency George is professional article writer who regularly writes content based on the health concerns and how to deal with them. Writing is his passion and he has also rather turned it successfully into long-term secondary source. Author Bio: Morna Collins is a health advisor and she believes in a healthy life. After research she has written this post and explain that how natural drink like Chaga tea improve your health. With summer and water activities coming soon, this tip on water is very important for me. Thanks for the heads up. Thanks Bob. I really appreciate your time that you had given to my post. increase performance like as your website. Thank you for your comments and the link.